For 5 years, the sacred fog of Jeunesse Cosmique has rolled along the bountiful streets of Montréal, seeping into crevasses and and rising up to fill the ears of those attuned to the sound of the drone-down-below. 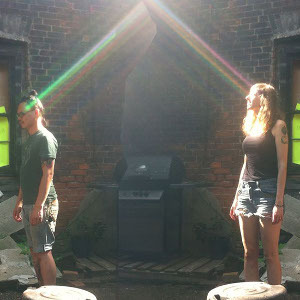 Chittakone Baccam and Catherine Debard, founders of the hazy-drone label, have been building (along with their many friends) a cosmic sanctuary that is mortared by the glue of sonic experimentation, collaboration, and community-building. We dropped Chi and Catherine a few questions about their humble beginnings and what it means to be a part of a community of like-minded musicians. Einar Jullum – Er hele verden distraherende vag? How did Jeunesse Cosmique begin? Can you describe the cosmic spark that initiated the curation of your most wondrously sonorous label? Jeunesse Cosmique (Chittakone Baccam and Catherine Debard): Saturday morning, five years ago, while cooking pancakes for breakfast. We had almost finished our first Sally Paradise EP, L’Ascension du Mont Shing, and we were wandering around the list of potential record labels we could submit to. Sally Paradise was the first Jeunesse Cosmique project, Catherine’s solo project at first, rapidly joined by Chi and at the time, Chloé. The band was a blend of dream pop and noisy shoegaze (a mix of Catherine’s ethereal pop vibe and Chi’s experimental noise). Already in this project is the essence of pretty much everything we still cling to: wanting to take the references that we like and deconstruct and reshape those as we want. At the time, there weren’t many labels that corresponded to our values that were actually pretty basic: being totally free. Launching a label was for us, the best way to create a collectivity of artists and mingle together, sharing our human and creative values. The core of the label included different people along the years but some have been and are still important Jeunesse Cosmique characters, like Alexis (Téléphone Maison), Olivier (Eddie Wagner), Rémi (Velvet Glacier), François (Flory Daahboy, Speed Guru), Samuel (Black Givre), Anas Rasta, Sebastian Trafalgar, Hugues (Wiwichu, Cheasypop) among others. 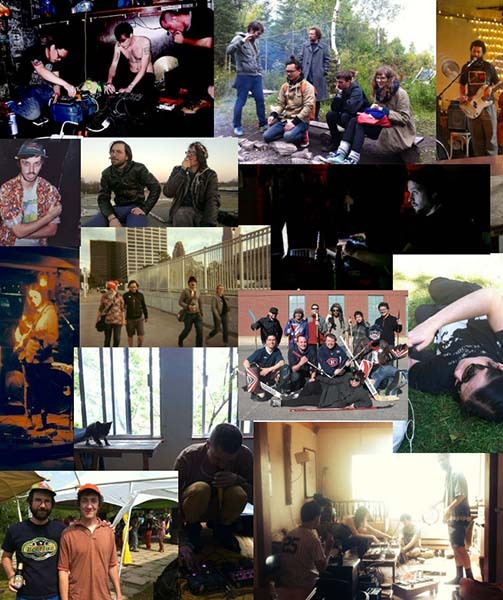 What, in your opinion, is the role of the micro-independent record label in the current Canadian musical landscape? JC : If we look at the situation from a francophone Montréal point of view, the notion of “independent music” seems to have been appropriated a while ago by labels that are subventioned, the major league let’s say. On the other hand, the DIY labels (La Cohu, Los Discos Enfantasmes, Howl Arts Collective, Hobo Cult (RIP), Misery Loves Company, Small Scale Records, etc.) generally help each other and affirm themselves against this machine because there is a mutual respect and a love for a music that is different. A label’s mission, for us, is to unite forces and gather artists that create not necessarily for hype or money but for the love or the need to create/ express themselves AND try together to change the cultural landscape. The incorporation into the Jeunesse catalog of the respective personal projects of you, the curators, seems to be integral to the process of cross-collaboration and interconnectedness between the musicians under your label. Can you comment on how this cross-collaboration assists in the presence of the label as an inclusive and community-oriented entity? JC: Since the beginning, Jeunesse Cosmique has been a kinda spatial refuge for musicians who think about life differently, outside the box. We learned to improvise together, we saw each other evolve over time, both in jams and shows. There is a listening and an infinite respect between us. That creates a safe environment where anyone can try new weird things, learn and exchange influences and techniques, without being afraid to be judged. Cause creating can be intimidating for people lacking confidence, that’s why it’s essential to have friends around, even if it’s just to listen to what you do. The plurality of projects in which people participate together reflects this collaborative vibe, and the albums we release are a physical representation of those encounters. Friends come and go, news friends join in because they feel at home. Our two solo projects, Hazy Montagne Mystique and YlangYlang, both emerged from this label and were influenced/empowered by these relationships. The mixtapes we offer online represent another way to meet and link musicians together, creating a beautiful web of people from everywhere: internet-relations, people we meet at shows or that contact us because they feel connected to us, and also our friends. 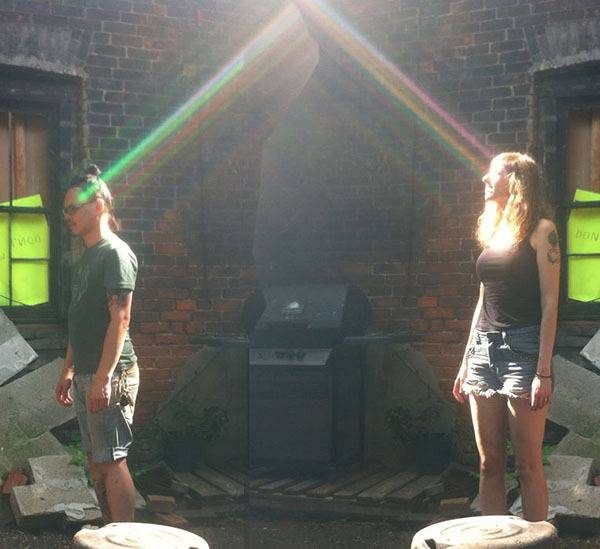 The accessibility and inclusivity of safe and accepting performative spaces, where individuals can actively participate in the consumption and presentation of identities and expressions, is incredibly important to the development and sustainability of venues and events that empower the engagement of identities in generative ways. Can you comment on how events and spaces such as Island Frequencies, Noisundaee, and Jardin St. Charles contribute to the culture that Jeunesse Cosmique seeks to motivate and bolster? François Vienneau (creator of Jardin St-Charles, Flory Daahboy and Speed Guru and member of Jeunesse Cosmique): Not only do these events and places offer an opportunity for artists to perform, they are a fertile ground for interactions between people. The Noisundaéè is linked to this community kitchen where people are invited to eat together. At the Jardin St-Charles, people stay around for hours after the music is done. The appreciation of arts might refer to a thin line between being in our comfort zone and opening our mind to new horizons. It might be true as well for having a bubbling conversation with strangers. From its beginning, Jeunesse Cosmique has always been oriented on acceptance, sharing and the absence of a hierarchy. Jeunesse Cosmique is more than a label; it is a community of people. JC : The whole structure of Noisundaéè is meant for expression and being open. The idea, shared with was a year-and-a-half ago by Alex Pelchat who contacted us to join him in this adventure, was to reunite four bookers from different scenes and make them invite one act each per show. The bi-monthly event (always pay-what-you-can, PWYC) takes place on Sunday afternoons at the Plant, a space where people live, create, eat, have fun and care about seeing life differently. The line-up is random, and the diversity is revealed as the event takes place: surprises, echoes, friction. The atmosphere is all about listening and respect, in accord with Noisundaéè’s mandate to promote music that is different, with new projects, strange attempts, first shows… Island Frequencies is a reoccuring event taking place at Casa del Popolo, an idea of Mos Puella. She included us to help her create a platform for experimental music in a PWYC format in this iconic venue. What I find particularly fascinating about Jeunesse Cosmique is the width and breadth of its inclusivity of musicians beyond the arms of its representation. For example, your compilation ‘Alpinistes du Vent’ is highlighted by the incorporation into the release of many musicians not represented by your label. Why is it important to you to be inclusive of musicians beyond those whom you are immediately involved with? Generally, we want to meet musicians and people with whom we share certain values (liberty in creation, passion, rebellion, authenticity), so when we make a call for submissions for a mixtape or look for bands to book, we are open to anybody sending us things if they fit our energetic vibe. It’s hard to explain but we just feel it, the music, etc. We just want to motivate people to let their music be heard by someone who might like it. So, yes it is inclusive and participative in the limits of our own human capacity. And having projects from different cities and countries is a magical portal through which music can travel. Communication and discovery. There seems to be a very focused attention on supporting Montréal-based musicians and the Montréal musical community as a whole. What do you feel is your place in the Montréal cultural and musical landscapes, and what is the relationship between yourselves and the community you serve and within which you operate? JC : Our role in Montréal is to try to have a stimulating variety of sounds and different shapes of magnificent experiences without limiting ourselves to one style or crew in particular. Gotta be careful about isolating yourself or thinking you’re the best. We are humble, no-attitude persons forever on the B-Side of the tape and not on the hype side. We want to encourage people that are just starting to actually do it and play shows, record sounds. We are agents who go from scene to scene looking for cosmic persons. We like to hang out and make music and listen too. All our events are PWYC to let everybody who wants to be there to participate. We like organizing events where people feel comfortable and at ease to exchange with each other. Also, those nights have a unique character because the music played is almost always improvised or different from the recordings, and the mood is relaxed and spontaneous. We also believe in humour and fun, which is not always the case in general. It’s really personal but we like to have fun and laugh and not take ourselves too seriously, even if the stuff we do is. The energy’s got to flow and not be too rigid. Montréal is a burgeoning musical and cultural geo-space, with identities and ethnographies that are unique, impassioned, and purposeful. In this context, how would you describe the ‘identity’ of Jeunesse Cosmique? How has the city of Montréal contributed to this conception of the identity that your label is fostering for itself? JC : Well to begin, we are both francophone and Québécois, our road brought each of us in Montréal so we became Montréalers. Chi is Lao and Catherine is half-French. Both of us have this cultural mix in our family that gives us a bit of distance from the Quebec culture, while being totally into it. In this city, we needed to fight to make ourselves a little place in the scene, in between the different crews. The city is really dense and can be abundant, stimulating, welcoming and closed in on itself in different cliques. It is becoming more open to helping and reaching-out to create a respectful dynamic. This dynamic has definitely forged our rebellious ways and showed us the importance of digging our roots deep into solid values. Eventually, through different circumstances, we started to hang out more and more with people from outside of Montréal. Friends from different countries passing by Montréal for a short or long stay (Japan, France, Morocco, Mexico, and others), or from elsewhere in Canada, wanting to live in our city and seeing it from another perspective, with different eyes. Despite the language frontier, it’s crazy as people that are meant to meet actually do. From Hazy Montagne Mystique to A Sacred Cloud to Telephone Maison, your catalog is home to a variety of musical genres, yet each seems to be imbued with an undercurrent of the ‘experimental’ and ‘avant-garde’. Why is experimentation important in the development of music? Chi: Most of us didn’t study music in a classic way. We make music inspired by what we like. In our mind, music is a language everyone has access to. We don’t aim for perfection. We aim for creativity and exploration. Catherine: Also, what is the interest in re-creating a sound that has been done before? Influence is immanent to the act of creation; it’s essential to know what has happened before and to get inspired by it. But it is as important to update it and rub it with other sounds from dreams and fresh ideas from the future. Both Chi and I keep name-dropping stuff we like, the bands that shaped us, that helped us shape our love for music. But the next step is to find a new sound, a sacred door to the unknown, hence the experimentation that layers like a soft fog on all our catalogue and music. How does Jeunesse Cosmique seek to encourage and empower the presence and presentation of the unique musical identities it collaborates with and supports? By being everywhere and wide open! Seriously, we have this kind of “Yes” philosophy that brought us into splendid crazy events. Last summer, we went with a small team (Velvet Glacier, Cosi e Cosi and Black Givre) on this strange adventure towards St-Fortunat to play during the night at a futuristic new age trance festival called Earthdance. We met there with our friend Charles Barabé for a night of wandering around in treehouses with obsessive beats and young kids ready to be shipped through space. Playing there was so out of context but dream-like. We have played beside a lake at Duckstock, jammed insane IDM freak-out tracks in a pyramid cabin in the woods with Nava Lulu, Eddie Wagner, Sebastian Trafalgar and Téléphone Maison, did a small USA tour just for fun, improvised and jumped on a trampoline with Bile Sister and ZONES at 8-11, Toronto. Gotta bring magic everywhere! In Montréal, we ally with people who love to put the strength together and collab to find new ideas for events, friends like La Passe (shout out, seriously, to this small peaceful den of freedom inside of a poetry museum), Cool Fest, Howl Arts Collective or in our dance/video art experiments with Temporal Drone (with Guillaume Vallée (kaleidoscopic wizard) et Alessandra Rigano (mouvement)). The moment you are really interested in exchanging with other persons and to be attentive to what they do, only positive energy can emerge from that, and it’s empowering and revitalizing for everybody. 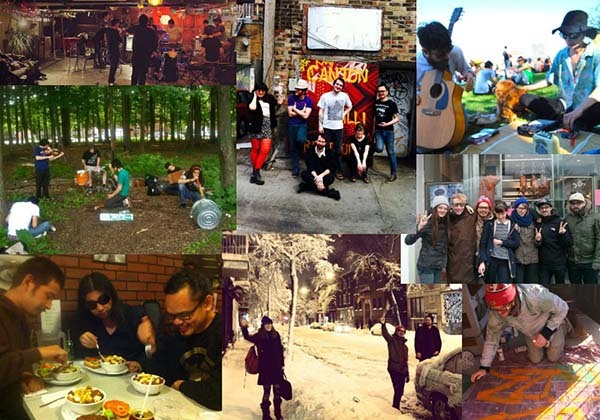 What are you most proud of having accomplished as a micro-independent record label? The feeling that we are able to create a positive energy; that the work we did had an impact on the people around us. Making life a little better, more creative and outside the boring path. Being respected. Helping the people we like to have their music heard and existing on physical format. And our small community of friends growing bigger. Being totally independent and doing what we want. Lastly, do you have anything coming to fruition in the immediate future that you are especially excited about? We are pretty focused on our 5th anniversary right now. Our anniversary will be celebrated on March 9 at Casa del Popolo with a comeback from our first project, Sally Paradise(YlangYlang, Hazy Montagne Mystique, Téléphone Maison and Black Givre). Also we have a few LPs coming up this year like JLK & the Assassins (we are stoked!!! ), Hazy Montagne Mystique’s first album (after a long period of creation) and Snake Whiskey (a good free jam). Durant 5 ans, le brouillard sacré de Jeunesse Cosmique a roulé le longs des rues fourmillantes de Montréal, s’infiltrant dans les crevasses et s’élevant jusqu’aux oreilles des gens synthonisés avec le drone provenant de l’intérieur de la Terre. Chittakone Baccam et Catherine Debard, fondateurs du label drone-vaporeux, ont bâti (à l’aide de leurs nombreux amis) un sanctuaire cosmique cimenté par une colle d’expérimentation sonore, de collaboration et d’esprit de communauté. Nous avons posés quelques questions à Chi et Catherine sur les humbles débuts et sur ce que cela signifie de faire partie d’une communauté de musiciens qui partagent les mêmes valeurs. WC : Comment a débuté Jeunesse Cosmique ? Pouvez-vous décrire l’étincelle cosmique qui a initié ce voyage sonore en tant que label? Jeunesse Cosmique (Chi et Catherine) : Un samedi matin, il y a cinq ans, en cuisinant des crêpes pour le déjeuner. Nous avions presque terminé la création du premier EP de Sally Paradise, L’Ascension du Mont Shing, et nous passions en revue les compagnies de disques potentielles. Sally Paradise était le premier projet Jeunesse Cosmique, au départ un projet solo de Catherine, où s’est rapidement impliqué Chi ainsi que Chloé, à l’époque. Le groupe était un mélange de dream-pop et d’expérimentations shoegaze (une alliance entre le côté pop vaporeux de Catherine et noise expérimental de Chi). Déjà dans ce projet se trouvait l’essence qui nous définit encore aujourd’hui, une envie de prendre des références que nous aimons et les déconstruire et remouler à notre guise. À l’époque, il n’y avait pas trop de labels à Montréal qui semblaient correspondre avec nos valeurs, qui se résumaient à ce concept assez simple : être totalement libre. Le nom est arrivé quand on a pensé à notre amour en commun pour Sonic Youth et à leur façon de faire rebelle et désinvolte. Catherine flippait des crêpes et Chi attendait de manger, le nom « Jeunesse Cosmique » est lancé par nos deux cerveaux à l’unison. Lancer le label était pour nous la meilleure façon de créer une collectivité d’artistes et de se retrouver pour mélanger et partager nos valeurs humaines et créatives. Le noyau du label a inclus plusieurs personnes au fil du temps mais certains ont été et sont toujours très importants Jeunesse Cosmique, Alexis (Téléphone Maison), Olivier (Eddie Wagner), Rémi (Velvet Glacier), François (Flory Daahboy, Speed Guru), Samuel (Black Givre), Anas Rasta, Sebastian Trafalgar, Hugues (Wiwichu, Cheasypop) entre autres. 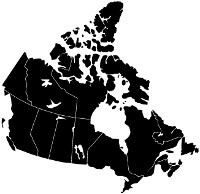 WC : Quel est, à votre avis, le rôle du label micro-indépendant au sein du paysage musical Canadien? JC: Si l’on regarde la situation à Montréal, dans la scène francophone, la notion de musique « émergente » semble s’être fait approprier par des étiquettes de disques subventionnées ou disons plutôt, de la ligue majeure. Ils misent sur le mot « indépendant » pour mousser leurs nouveaux artistes, mais en utilisant un marketing plutôt « commercial » et pas vraiment indépendant (Dare to Care, Audiogram, La Tribu, Bonsound, entre autres). Par contre, les labels DIY (La Cohu, Los Discos Enfantasmes, Howl Arts Collective, Hobo Cult (RIP), Misery Loves Company, Small Scale Records, etc.) s’entraident et s’affirment contre cette machine, car il y a un respect mutuel et un amour pour la musique différente. Pour nous, rôle d’un label, c’est de rallier les forces, de rassembler les artistes qui font de l’art pas nécessairement pour la hype ou l’argent mais pour l’amour et le besoin de créer/de s’exprimer, et tenter de changer ensemble le paysage culturel. En tant que micro-label, il faut dire tout haut ce qu’on n’aime pas, être rebel, et repenser carrément l’expérience autant pour les musiciens que pour le public. WC : L’incorporation au catalogue de vos projets personnels, les curateurs, semble être intégral au processus de collaboration et d’interconnectivité entre les musiciens sous votre label. Pouvez-vous parler de comment ce réseau de collaboration fait du label une entité inclusive et axée sur la communauté? JC: Depuis le début, Jeunesse Cosmique est une sorte de terre d’accueil spatiale pour les musiciens qui pensent la vie différemment, en dehors du cadre. On a appris à improviser ensemble, on se voit évoluer au fil des jams, des spectacles, il y a une écoute et un respect infini entre nous. Ça crée un espace de confiance où chacun peut essayer des choses nouvelles, apprendre et s’échanger des influences ou des techniques, sans avoir peur d’être jugé. Parce que créer, ça peut être vraiment intimidant quand on manque d’assurance, c’est tellement essentiel d’avoir des amis autour ne serait-ce que pour écouter ce que tu fais. La pluralité de projets où chacun collabore reflète en quelque sorte cette vie de communauté, les albums que l’on sort, une représentation physique des rencontres qu’on fait. Les amis partent et reviennent, des gens se rajoutent à la collectivité car ils s’y sentent bien. C’est une véritable question de respect et d’entraide. Nos projets solos respectifs, Hazy Montagne Mystique et YlangYlang, ont éclos dans ce label et ont été influencés par ces rencontres. 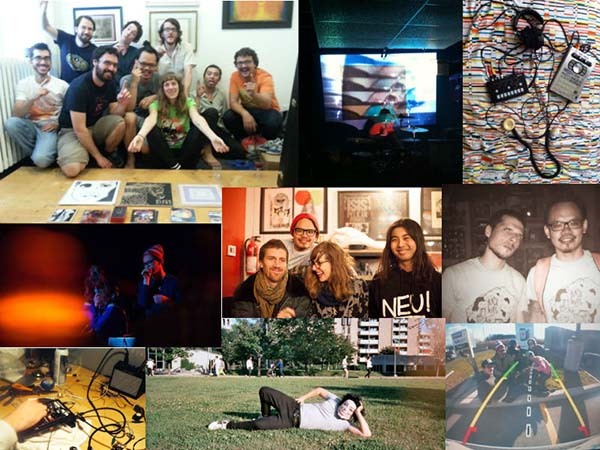 Les compilations que nous offrons en ligne sont une autre façon de rencontrer/faire se rencontrer des musiciens, de créer une toile immense incluant des gens de partout, autant relations-internets, que gens que l’on découvre dans nos concerts et évidemment nos amis. La curation se fait de façon organique, au fil des découvertes que l’on fait sur internet ou dans la vie, et également de gens qui nous contactent car ils se sentent appelés par notre philosophie et façon de faire. L’accessibilité et l’inclusivité au sein d’espaces performatifs sécuritaires et ouverts, dans lesquels les individus peuvent participer activement en écoutant / en présentant identités et expressions, est vraiment important dans le développement et la durabilité de lieux et évènements qui donnent du pouvoir et s’engagent dans la pluralité d’identités de façon générative. Pouvez-vous commenter la façon que ces évènements et espaces, tels que Island Frequencies, Noisundaéè, et Jardin St. Charles contribuent à la culture que Jeunesse Cosmique cherche à motiver et soutenir? François Vienneau, créateur du Jardin St-Charles, Flory Daahboy et Speed Guru (ainsi que membre Jeunesse Cosmique des premiers temps) : Non seulement ces évènements et lieux offrent une opportunité aux artistes de performer, ils sont un terrain d’interactions entre personnes. Noisundaéè est lié à la cuisine communautaire où les gens mangent ensemble. Au Jardin St-Charles, les spectateurs peuvent rester des heures après que la musique soit terminée. L’appréciation des arts pourrait être liée à une fine ligne entre sa zone de confort et ouvrir son esprit à de nouveaux horizons. C’est également le cas dans une conversation bouillonnante avec des étrangers. Depuis le début, Jeunesse Cosmique a toujours été orienté vers l’acceptation, le partage et l’absence de hiérarchie. Jeunesse Cosmique est plus qu’un label, c’est une communauté de personnes. JC : Le cadre du Noisundaéè est fait pour l’expression et l’ouverture. L’idée qu’Alex Pelchat a lancé il y a un peu plus d’un an (lorsqu’il nous a contacté pour se joindre à l’aventure), c’est de regrouper quatre bookers issus de différents milieux du spectre musical montréalais et de les faire agir en invitant une personne par édition. Les spectacles (toujours contribution volontaire) se déroulent un dimanche sur deux, en après-midi, à La Plante, un lieu où les gens habitent, créent, mangent, s’amusent, se préoccupent de voir la vie différemment. L’ordre des groupes est pigé au sort la journée-même, la diversité des genres se découvre sous les yeux de tous, surprend, fait écho, se frictionne. L’ambiance est à l’écoute et au respect, en accord avec le mandat de présenter de la musique différente, des nouveaux projets, des essais, des premiers concerts… Island Frequencies est une soirée récurrente à la Casa del Popolo, une idée de Mos Puella, qui nous a incluse avec elle pour former une plateforme pour de la musique expérimentale dans un format contribution volontaire dans cette salle iconique. Ce que je trouve particulièrement fascinant à propos de Jeunesse Cosmique est l’étendue de son inclusivité des musiciens au-delà des bras de sa représentation. Par exemple, votre compilation ‘Alpinistes du Vent’ est marquante de par l’incorporation de beaucoup d’artistes dont plusieurs qui ne sont pas représentés sous votre label. Pourquoi est-ce important pour vous d’inclure des musiciens au-delà de ceux avec qui vous êtes impliqués dans l’immédiat? JC : En général, on veut rencontrer des musiciens et des gens qui ont des valeurs proches des nôtres (la liberté de créer, la passion, la rébellion, l’authenticité), donc, quand on fait un appel de soumission pour une compilation ou lorsqu’on recherche des groupes pour jouer à des soirées, nous sommes ouverts à ce que les gens nous envoient ce qu’ils font si ça correspond à notre vibe énergétique. C’est compliqué à expliquer mais on le sent, c’est tout. On feel la musique et tout d’un coup, ça se place. Tout ce qu’on veut, c’est motiver les gens à créer et à ce que leur musique soit entendue par quelqu’un qui pourrait aimer ça, communiquer créativement, alors oui, c’est inclusif et participatif, dans les limites humainement possibles pour nous. Et avoir des projets provenant de plusieurs villes et pays est un merveilleux vortex pour faire voyager la musique. Communication et découverte. Il semble y avoir une attention très concentrée dans le support aux musiciens basés à Montréal ainsi que sur la communauté en général. Quelle place sentez-vous occuper dans les paysages culturels et musicaux montréalais et quelle est la relation entre vous et la communauté que vous serve et dans laquelle vous opérez? JC : Notre rôle à Montréal est d’essayer d’avoir une variété stimulante de sons et de formes et d’expériences différentes et magnifiques sans se limiter à un style ou à un crew en particulier. Il faut éviter le danger de s’isoler et de se penser bon. Nous sommes des gens humbles et non-attitude, toujours du côté B de la cassette et non de celui de la hype. Tout ce qui nous arrive de bon, on a travaillé fort pour que ça vienne à nous, on fait les choses du mieux qu’on peut et avec coeur et je crois que notre karma doit être assez bon. On encourage les gens qui débutent à foncer et faire leur premier jam, leur premier show, à enregistrer! On est des agents qui se promènent d’une scène à l’autre à la recherche de trippeux, qui aiment passer des soirées à faire de la musique et à en écouter. Tous nos évènements sont « contribution volontaire » pour permettre à n’importe qui d’y assister et d’y être accepté. Nous aimons organiser des soirées dans lesquelles les gens se sentent confortables et à l’aise d’échanger. Également, ces soirées ont un caractère unique car la musique est presque toujours improvisée ou différente des enregistrements, toujours assez relaxes et spontanées. Nous croyons à la dérision et à l’humour aussi, ce qui n’est pas tout le temps le cas en général. C’est vraiment personnel mais on aime bien rire, avoir du plaisir et ne pas trop se prendre au sérieux, même si ce qu’on fait l’est extrêmement. Il faut que l’énergie coule, que ce soit fluide et non rigide, carré. Montréal est un espace géographique bourgeonnant au niveau musical et culturel, avec des identités et ethnographies uniques, passionnées et déterminées. Dans ce contexte, comment pourriez-vous décrie l’identité de Jeunesse Cosmique? Comment la ville a-t-elle contribué à cette conception d’identité que le label favorise pour elle-même? JC : Tout d’abord, nous sommes francophones et Québécois, nous avons chacun dans notre parcours déménagé à Montréal et sommes alors devenus Montréalais. Chi est Laotien et Catherine est à demi Française. Nous avons chacun un mélange de culture dans notre famille qui fait de nous des Québécois avec une touche de distance face à la culture québécoise, tout en étant totalement immergés dans celle-ci. Dans cette ville, il a fallu se battre pour se faire une place dans la scène, parmi les différents cercles. La ville est très dense et peut être à la fois foisonnante, stimulante et accueillante, que fermée et repliée en cliques, quoi qu’elle s’ouvre de plus en plus dans une entraide et un respect mutuel. Cette dynamique a définitivement aidé à forger notre caractère rebel et à plonger nos racines dans de solides valeurs. Éventuellement et dans un paquet de circonstances différentes, nous avons commencé à nous tenir de plus en plus avec des gens qui viennent d’en-dehors de Montréal. Des gens de passage provenant de plusieurs pays (Japon, France, Maroc, Mexique, entre autres) ou de ailleurs au Canada, des gens qui veulent s’installer à Montréal et perçoivent la ville avec d’autres yeux que nous. Malgré la barrière du langage, c’est fou comme les gens se retrouvent. De Hazy Montagne Mystique à A Sacred Cloud et Telephone Maison, votre catalogue contient une variété de genres musicaux, pourtant, ceux-ci semblent tous imprégnés par un courant sous-jacent « expérimental » et «avant-garde ». Pourquoi l’expérimentation est-elle aussi importante dans le développement de la musique? Chi : Plusieurs d’entre nous ne proviennent pas d’école de musique classique. Nous faisons la musique inspirée de ce que nous aimons. Dans notre esprit, la musique est un langage que tout le monde à accès. Nous ne visons pas la perfection mais bien l’écoute créative et l’exploration. Catherine : Aussi, quel intérêt y a-t-il à recréer un son qui a déjà existé exactement auparavant? L’influence est immanente dans l’acte de création, c’est essentiel de savoir ce qui s’est passé avant et également de s’en inspirer mais c’est tout aussi primordial de le réactualiser et de le mettre en friction avec d’autres sons qui proviennent des rêves, de territoires inexplorés. Autant Chi que moi énumérons sans cesse nos sources, les groupes qui nous ont forgés, marqués, desquels nous avons appris à percevoir ce qu’on aime dans la musique. Mais après ça, le but est de trouver un nouveau son, une porte sacrée vers l’inconnu, d’où la couche d’expérimentation qui chatoie sur notre catalogue et nos musiques respectives. Comment est-ce que Jeunesse Cosmique cherche à encourager et renforcir la présence et présentation d’identités musicales uniques avec qui y collabore et supporte? En étant partout et grands ouverts! Sérieusement, nous avons une philosophie du « Oui » qui nous a amené à participer à des évènements saugrenus et magnifiques. Cet été, nous sommes partis à l’aventure avec une petite équipe (Velvet Glacier, Cosi e Cosi et Black Givre) vers St-Fortunat pour jouer à un festival de musique trance new age futuriste, le Earthdance, durant la nuit. Nous y avons rejoint notre ami Charles Barabé pour une nuit de déambulation dans les cabanes dans les arbres, beats obsédants et jeunes parés pour le décollage. Jouer à cet événement était tellement hors contexte mais magnifique en même temps. Nous avons joué au bord d’un lac au Duckstock, jammé dans un chalet triangulaire avec Nava Lulu, Eddie Wagner, Sebastian Trafalgar et Téléphone Maison, fait une tournée aux Etats-Unis des plus aventureuses pour le love, improvisé et bondit à la trampoline au 8-11 à Toronto avec Bile Sister et ZONES. Il faut apporter de la magie partout! À Montréal, nous nous allions avec des gens qu’on aime de tous les milieux pour unir nos forces et collaborer pour trouver de nouvelles idées. Que ce soit avec La Passe (shout out sérieusement, petit antre de liberté dans un musée de la poésie), le Cool Fest, Howl Arts Collective ou dans nos aventures dans le monde de la danse et de l’art vidéo avec Temporal Drone (avec Guillaume Vallée (magicien de l’image) et Alessandra Rigano (mouvement)), la leçon est que lorsque nous sommes vraiment intéressés à échanger avec les autres et à ce qu’ils font, s’en découle que du positif et ça c’est revigorant et stimulant pour tout le monde. De quoi êtes-vous le plus fier d’avoir accompli en tant que micro-label indépendant? Sentir que nous créons une énergie positive, que les efforts que l’on fait a des répercussions dans les gens qui nous entourent. Faire que la vie est meilleure, plus créative, hors des sentiers battus. Avoir le respect. Aider à ce que la musique des gens qu’on aime soit entendue et existe en format physique. Créer une petite communauté avec toujours plus d’amis. Être totalement indépendants. Faire à notre tête. Finalement, y a-t-il quelque chose dans votre avenir immédiat pour lequel vous êtes particulièrement excités? Notre cinquième anniversaire occupe pas mal nos pensées en ce moment. Nous le célébrons le 9 mars à la Casa del Popolo avec un retour de notre premier groupe Sally Paradise(YlangYlang, Hazy Montagne Mystique, Téléphone Maison et Black Givre). Sinon, nous avons quelques LPs de prévus cette année, dont l’album de JLK & the Assassins (nous sommes très excités!!! ), le premier album de Hazy Montagne Mystique (après une longue phase de création) et de Snake Whiskey (un bon jam free).